Preside nt van de Zyl’s response was a verbal assault which showed no respect for the Quakers nearly 400 years of commitment to peace and justice in Britain nor the practical experience it has in bringing reconciliation to some of the world’s most troubled places. 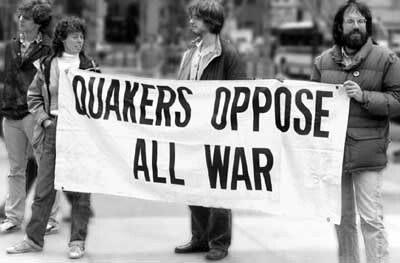 Instead, Marie van de Zyl was an inch away from accusing the Quakers of antisemitism. The Board of Deputies has shown itself incapable of understand why Quakers in Britain could be justified in adopting a divestment policy. That’s because the Board of Deputies is acting not as a Jewish community body in the U.K. but as a plank of the pro-Israel lobby. In that role it’s determined to maintain the illusion that Israel/Palestine is a “conflict” requiring “balanced” debate and a heavily managed interfaith conversation.